This Infraction model has a carbon fiber handle and a D2 steel blade with a tumbled finish. The Infraction from Medford Knife & Tool was designed for people who desire a lighter knife with a smaller profile for everyday carry. This elegant pocket knife features a carbon fiber front handle scale and a D2 steel blade. 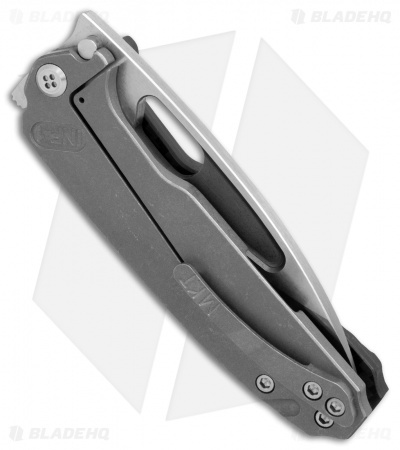 The blade is opened with a thumb hole and locks in place with a titanium frame lock mechanism. 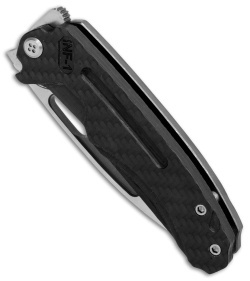 The sleek design of the Medford Infraction will make it your new everyday companion. Includes a right hand tip-up carry pocket clip. This model has a D2 steel blade with a tumbled finish, thumb hole opener, and a tumbled titanium framelock. 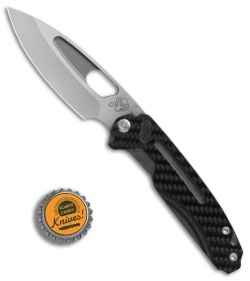 The materials are great, I actually have the CPM-3V blade model, not the D2, but other than that it's the same knife. It is thick, but if you're even looking at a Medford then you are just gonna have to get used to that. It's reasonably light, exceptionally so for a Medford, and very carry-able. 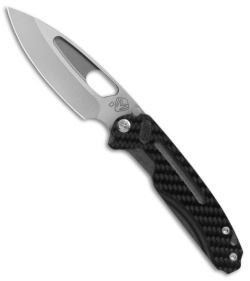 The blade is a great length and overall, it's a really great size for EDC in my opinion. However, the stock factory edge was absolute trash, and the action was stiff and gritty. I voided the warranty, sharpened it, and took it apart to clean it and polish the washers and WHAT DO YA KNOW, the action significantly smoother and snappier after I tuned it. It's almost as if people who are buying $600 knives know what the hell they're doing and can maintain and tune their knives to their liking. But I guess the almighty Greg Medford can't be bothered to service his knives once I've done what should have been done from the factory. Long story long, Greg Medford is a sorry excuse for the head of a knife company, but he makes some nice knives IF what he does is your cup of tea, which isn't everyone. No idea if it'll stick around in my permanent collection, but I do know that unless Medford smartens up about his warranty service and also starts making more slim, light blades like this, it will be the only one I'll ever possibly own.